Chief Daniel Garcia of the Phoenix Police Department has reported that Detective John Hobbs, 43, was shot and killed during an attempt to serve a felony warrant. Detective Hobbs and another detective were following the suspect when he realized that he was under their surveillance. In his attempt to flee, he caused a three vehicle crash at the intersection of 43rd Avenue and Bethany Home Road. The suspect fled his vehicle on foot after the crash and immediately fired upon both officers as they were exiting their departmental vehicle. Both officers were struck by the suspect’s gunfire. Detective Hobbs was able to return fire striking the suspect multiple times. During his attempts to flee, the suspect rounded the corner of a building with his weapon drawn and was shot and killed by a third officer. During the vehicle crash, an 83 year old woman and a 53 year old man sustained injuries and were transported to St. Joseph Medical Center. Both inured officers were also taken to St. Joseph’s. 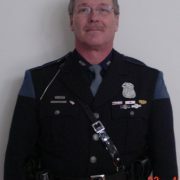 Detective Hobbs died from his gunshot wounds about two hours following the shooting. The second detective, whose name has not been released, remains in the ICU in stable condition and is expected to recover. 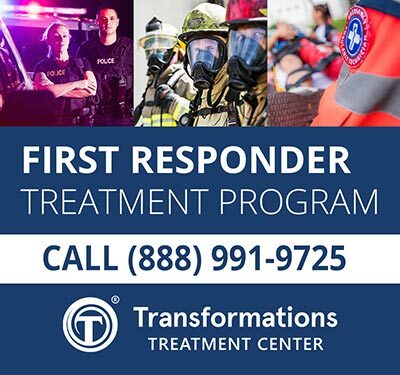 The suspect, identified as William R. Thornton, 28, was released from the Arizona State Prison Complex-Lewis on January 9th after serving 1 1/2 years for a dangerous drug violation and resisting arrest. Detective Hobbs was a 21 year veteran of the department assigned to the Fugitive Apprehension Team. He is survived by his wife and three children ages 10, 8 and 6. 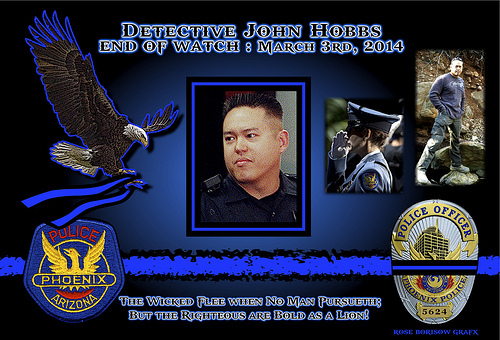 Detective John Hobbs, gone, but never forgotten. 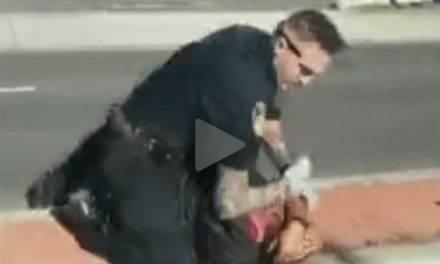 PreviousWhere’s Justice for the Man Behind the Badge?